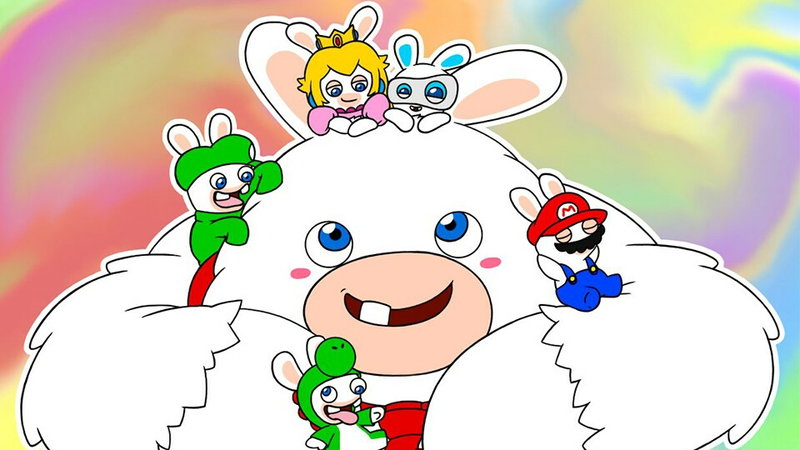 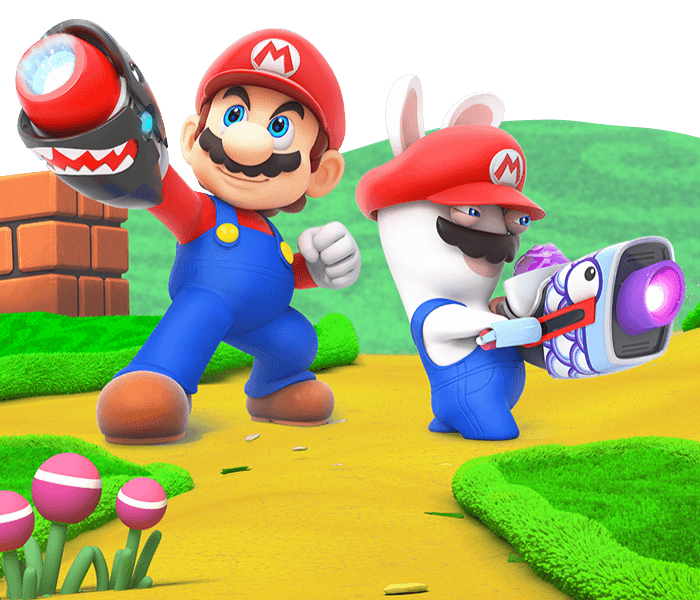 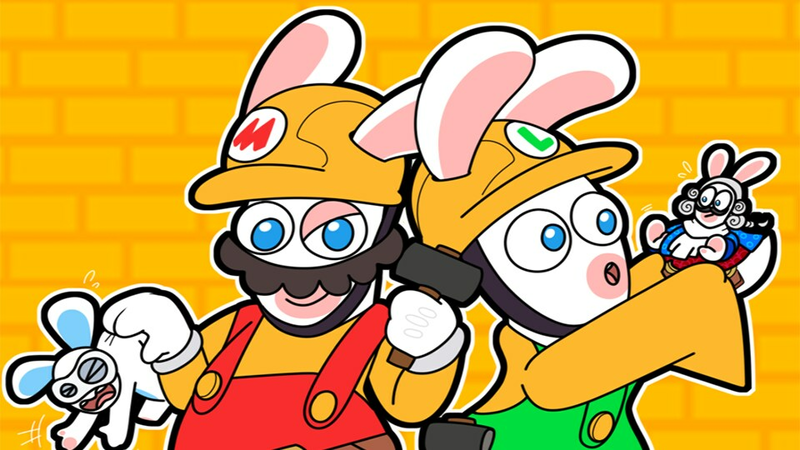 TEAM UP WITH MARIO AND THE RABBIDS! 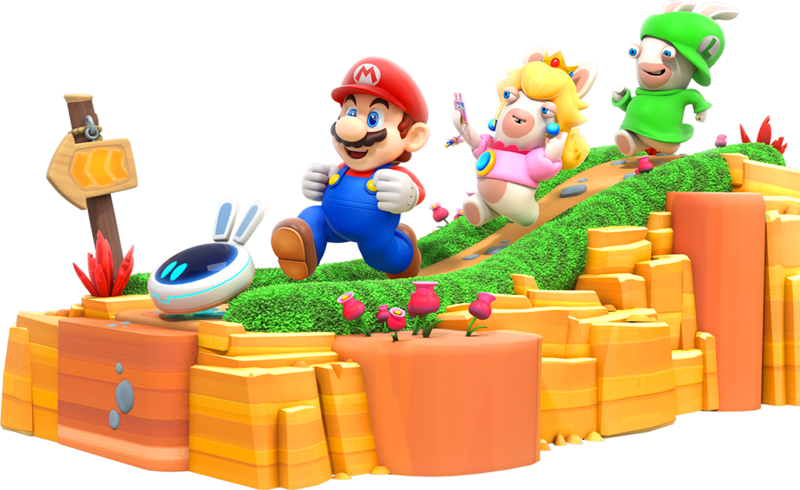 Mario + Rabbids Kingdom Battle is available now on Nintendo Switch. 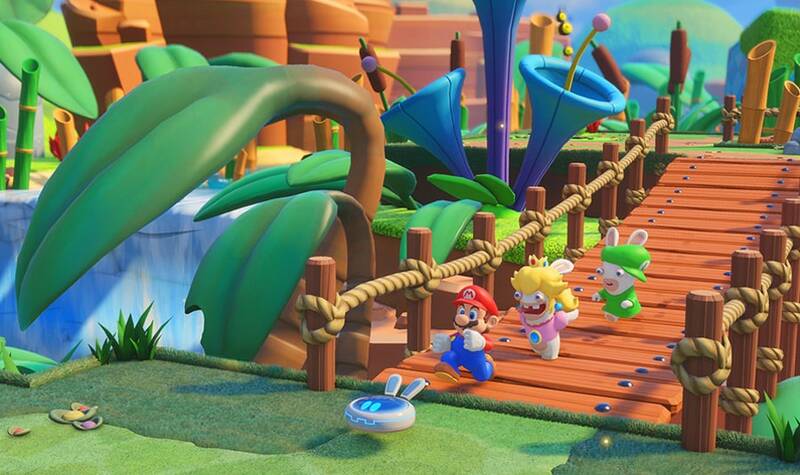 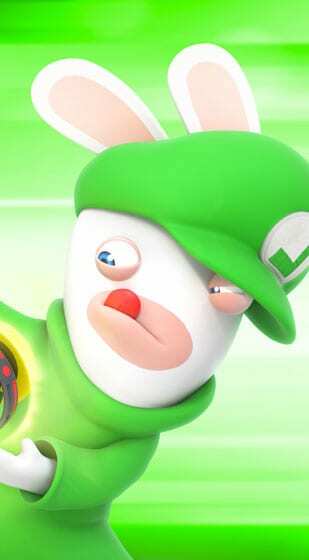 Mario, Luigi, Peach, and Yoshi will join forces with four Rabbids heroes, each with their own unique personalities. 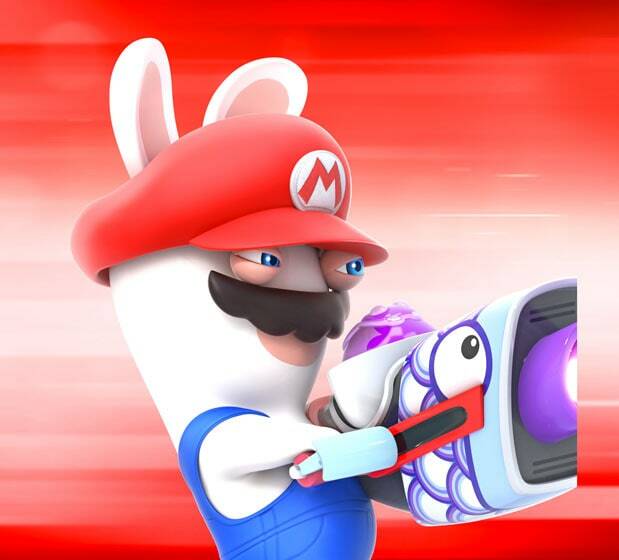 Mario's offensive talents make him a natural choice to lead the charge in battle. 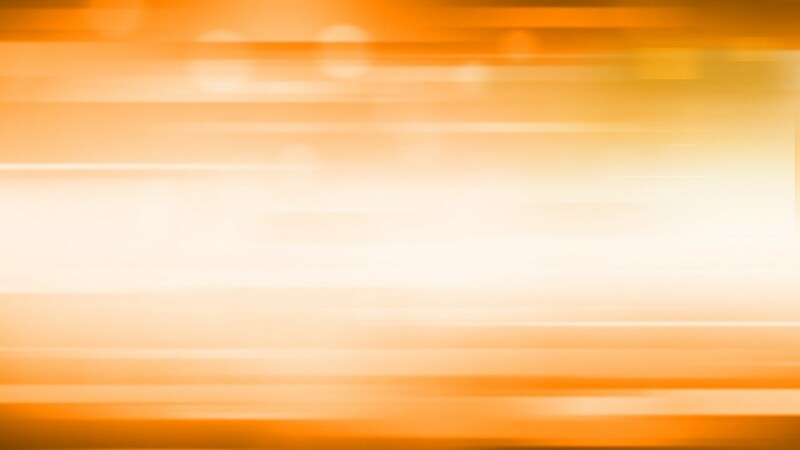 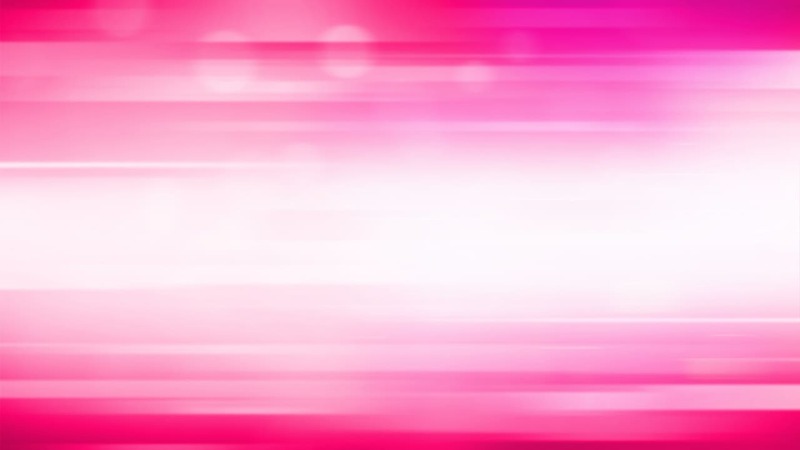 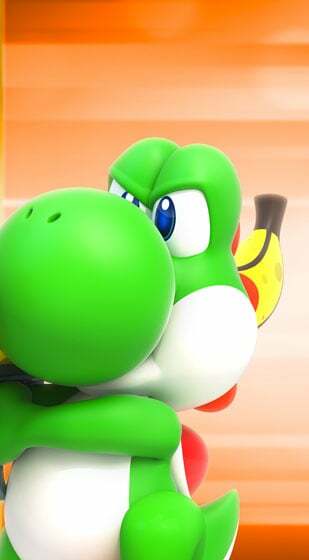 He is a mid-to-close range fighter with excellent mobility. 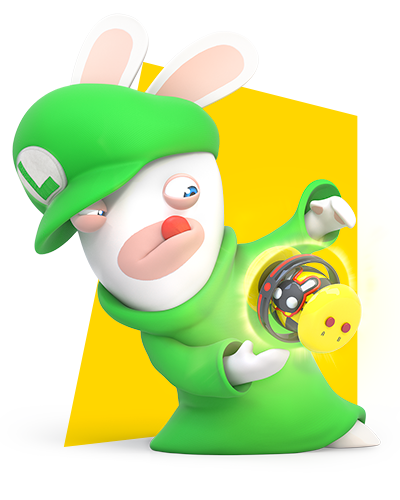 Rabbid Luigi is a defensive specialist who can leverage the unpredictable elemental forces that surround us all to great strategic effect. 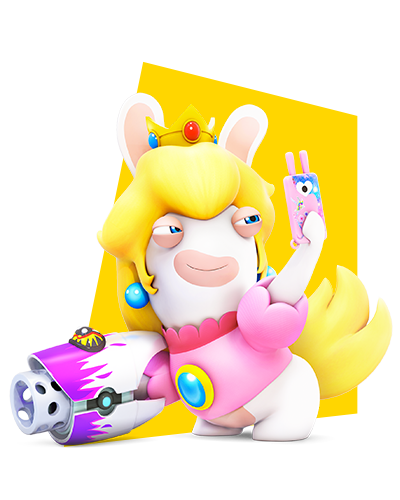 A proficient healer and damage-denier, when this defense-oriented prima donna takes the battlefield she keeps one eye on the enemy, and one on Mario. 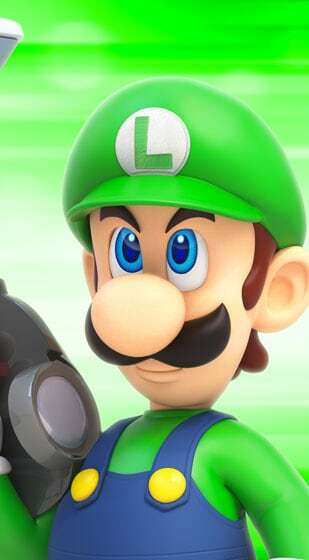 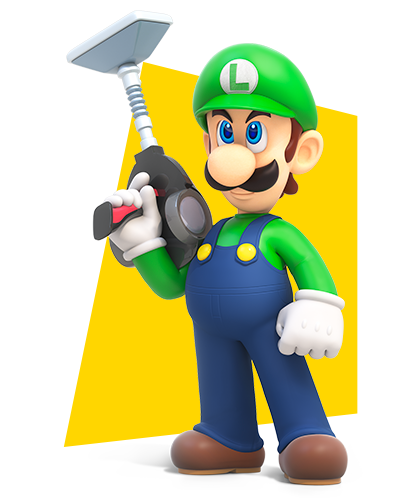 A master or long-range attacks (due to his familiarity with nozzle-based weaponary), Luigi has bravely led many 'fighting retreats' thanks to his advanced mobility. 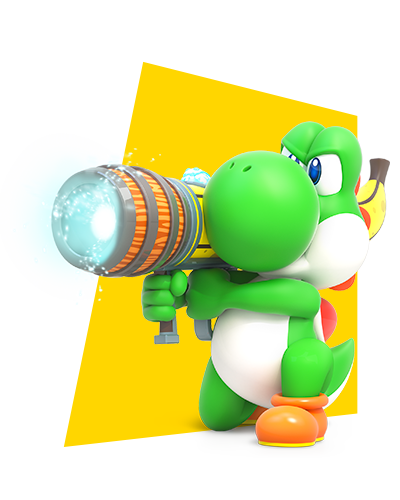 Yoshi is a long-range specialist who belongs behind the front lines where he can deliver a power-packed punch from afar. 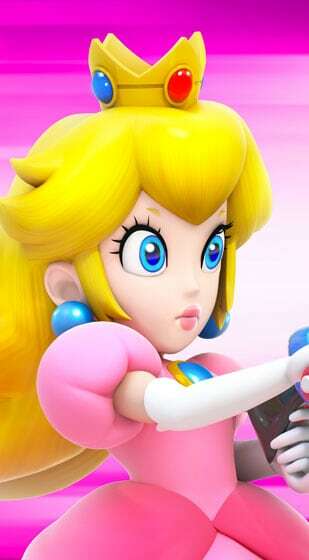 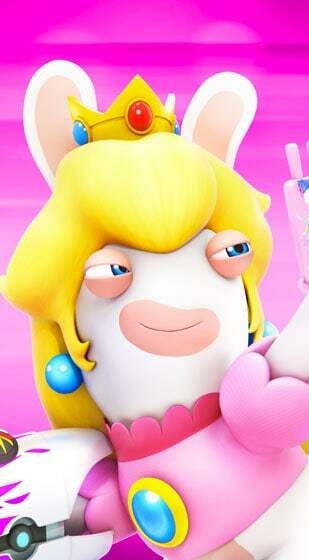 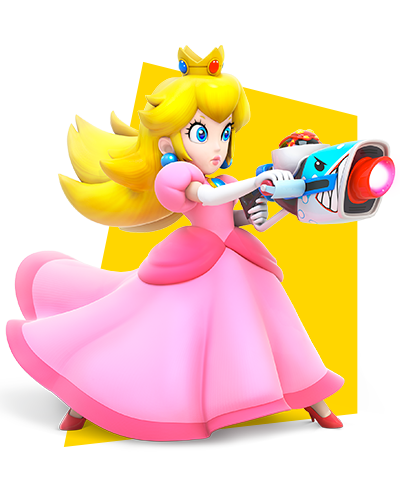 In her new role as a 'defender in a dress' vs. 'damsel in distress', Princess Peach strikes a nice balance between offense, defense and mobility. 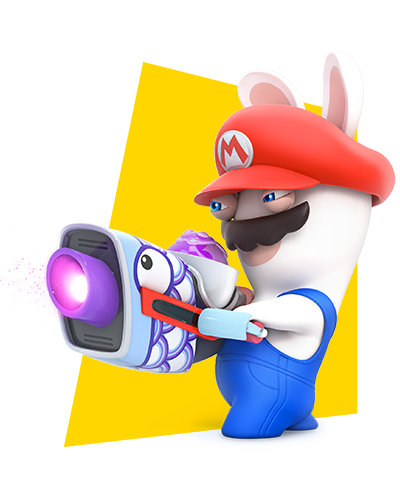 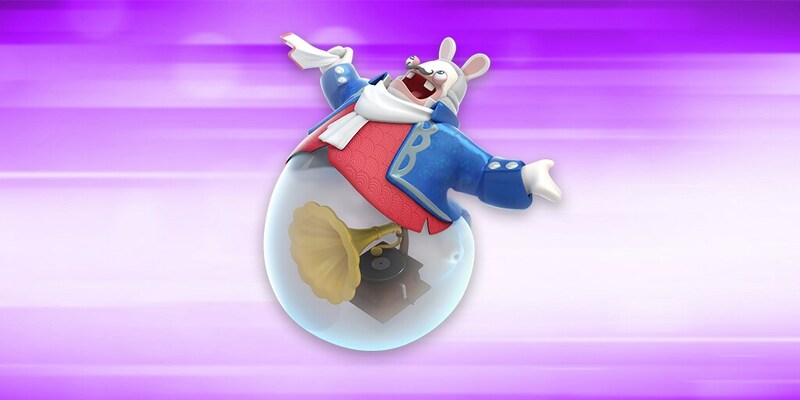 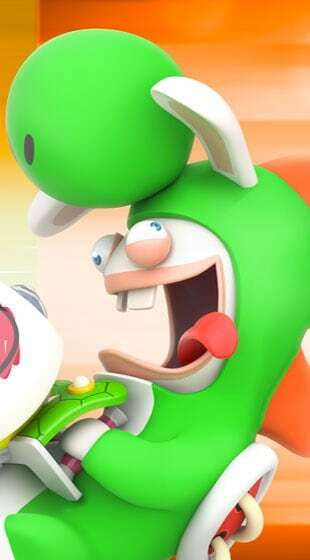 Rabbid Yoshi is best utilized lashing out with heavy weapons at long range. 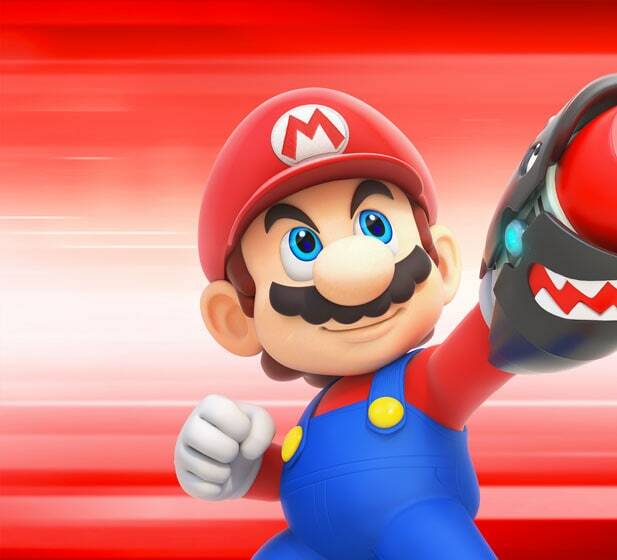 His arsenal includes melee skills, solid defense and a cool victory dance. 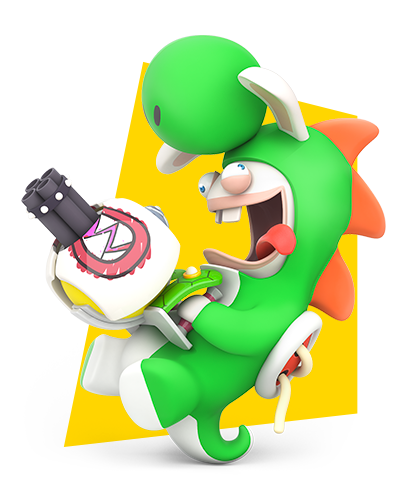 A big league brawler with exceptional luck, a dependable defense, solid moves and massive case of imposter syndrome. 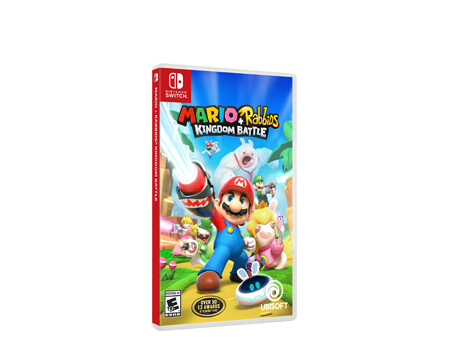 Embark with your team of eight heroes on an epic quest to free your friends and put the Mushroom Kingdom back in order! 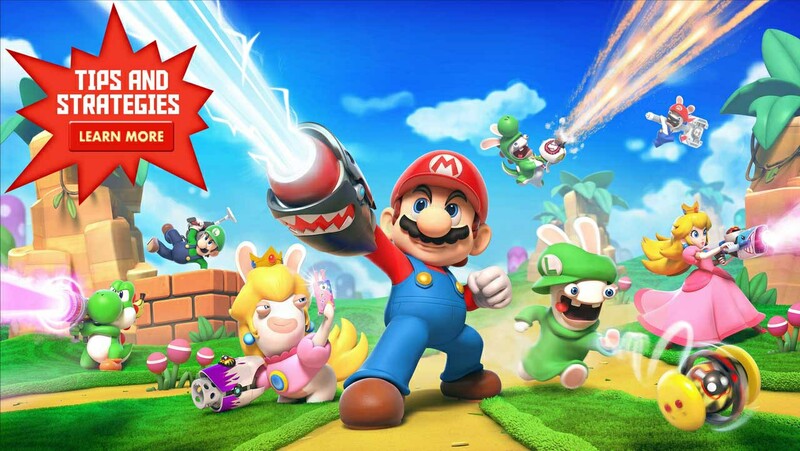 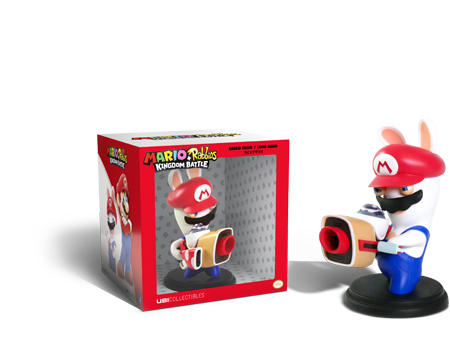 Mario and his friends will use never-before-seen weapons to engage in combat with their foes. 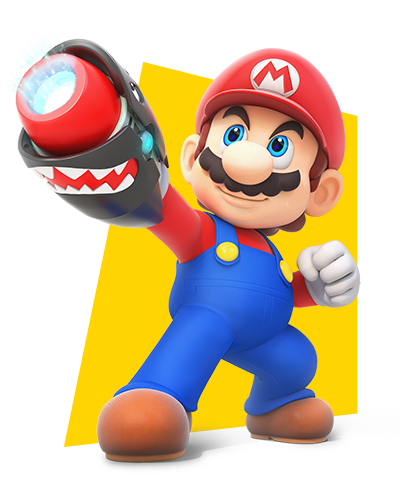 With an arsenal of hundreds of unique weapons, players will choose how best to equip each of their eight heroes. 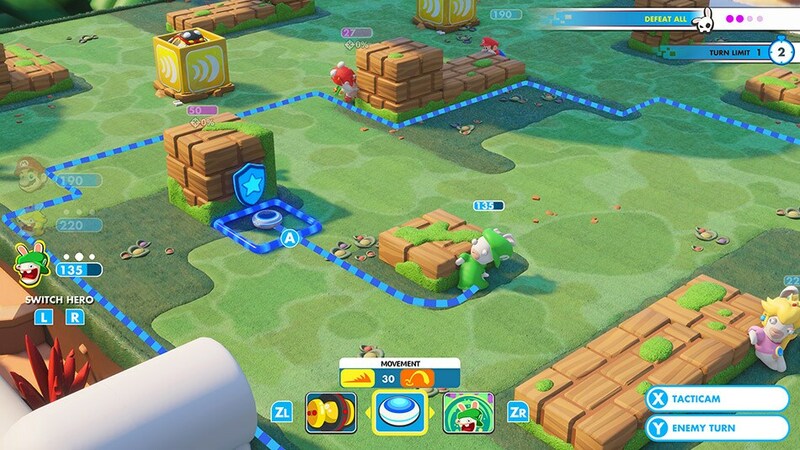 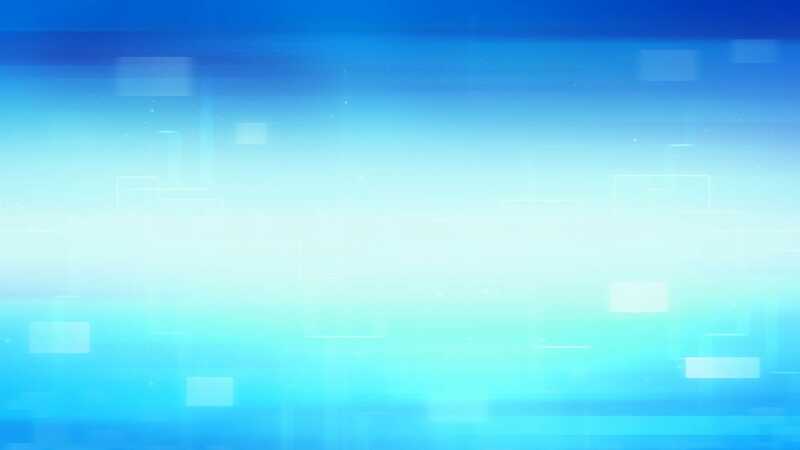 Play additional co-op challenges with a friend in local multiplayer, featuring three levels of difficulty.